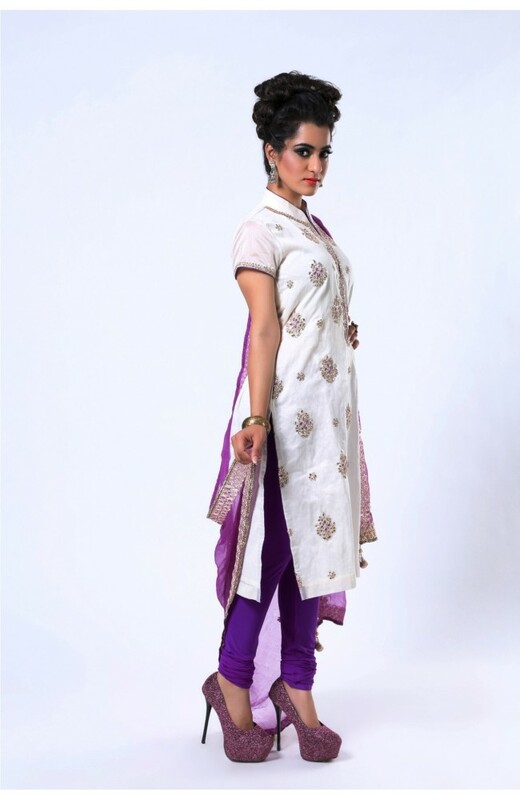 This beautiful Off White colour Salwar Kameez is made of chanderi cotton fabric. Kundan, Thread Embroidery is used to enhance its designs and elegance. Purple Leheria with Kundan buti and gota lace comes with this salwar kameez.